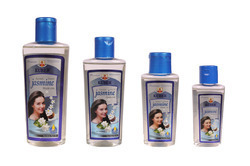 Gift your hair the aromatic presence of jasmine. In addition to being antomicrobial in nature, it further ensures relief against unavoidable soothing moisture for a softer touch and lustrous hair growth. 1. Jasmine oil is a strong anti-septic.